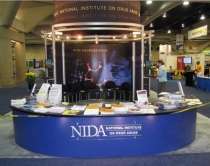 The National Institute on Drug Abuse (NIDA) Frontiers in Addiction Research Mini-Convention has been a part of the annual meeting of the Society for Neuroscience Meeting since 2002. 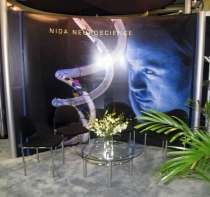 The annual mini-conventions are designed to bring together participants, particularly young investigators, from a wide array of scientific disciplines to share advances and discuss future directions for research in the neuroscience of drug abuse, addiction, and related areas. Frontiers in Addiction Research also features an Early Career Investigators Poster Session and, since 2003, has been the setting for the Society for Neuroscience Jacob P. Waletsky Memorial lecture, which honors the research contributions made by outstanding junior scientists in the area of drug addiction or alcoholism, and the nervous system.